Outdoor furniture has come a long way since the days of plastic bands stretched across a metal frame; in fact, some pieces could easily be at home in most living rooms. While styles and materials vary, a popular choice is hardwood, which makes for a beautiful and rugged chair, table or bench. But wood is porous, making it susceptible to excess moisture and heat exposure. 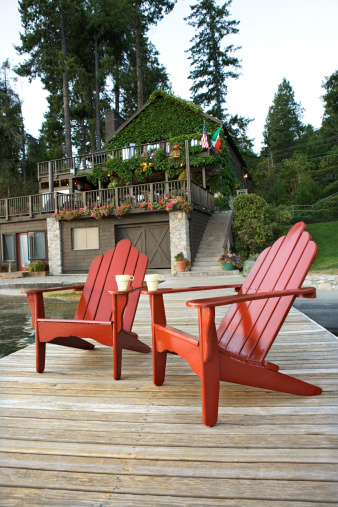 Wood sealer and weatherproofing products protect the furniture, lengthening its lifetime. 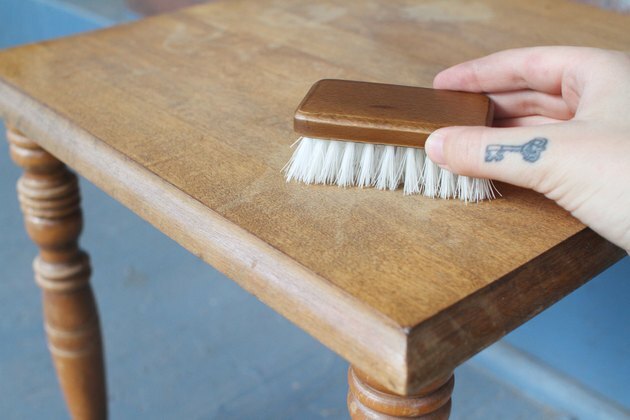 Brush the furniture with a stiff-bristled brush to remove dirt and debris. 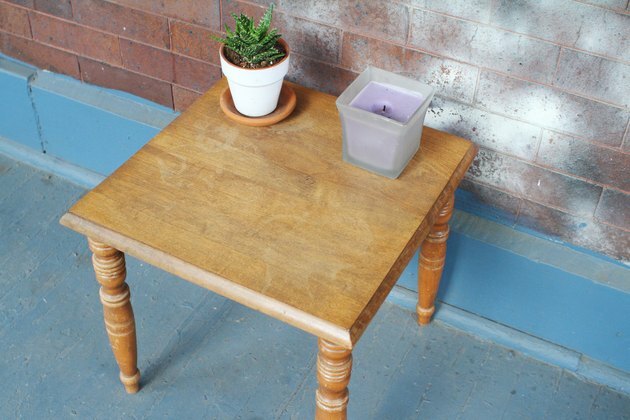 For heavily soiled surfaces, clean with a pressure washer and allow the furniture to dry completely. Prep the area. Lay a large drop cloth on the ground outside. 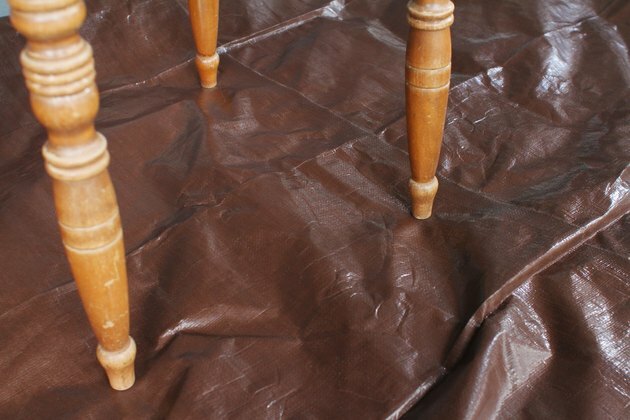 Place the wooden furniture in the center of the drop cloth. Leave enough room around it so that you can easily spray the furniture from every angle. Be sure to set up your work space away from any other furniture or structures. 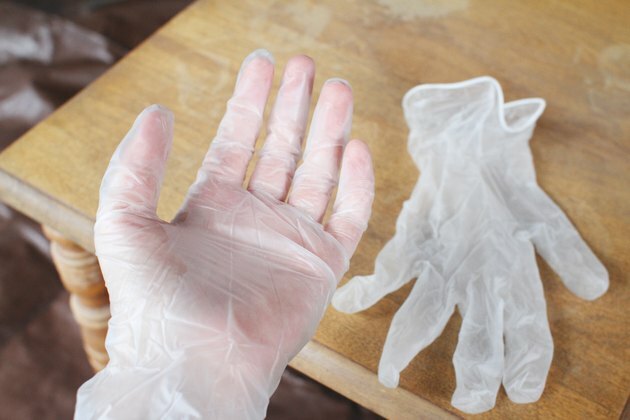 Put on a pair of gloves and safety goggles. Shake or stir the weatherproofing sealer thoroughly and then pour it into the spray canister with a funnel. Screw the top onto the spray canister as tightly as possible; it works on a vacuum principle. Prime the pump by pulling up and down on the central lever. Stop once it becomes difficult to depress. Hold the nozzle of the spray canister about 6 inches from the surface of the wood and depress the handle to start spraying the sealer. Move from side to side to apply an even coat. Let the furniture dry for at least two hours, or the time recommended on the product label. Flip the furniture over and seal the remaining side. Let the entire piece dry for 24 hours. Apply one to two additional coats if desired. With some products, one coat weatherproofs outdoor furniture effectively, while others require a few thin layers for the best results.